Whoosh! That’s the sound that summer makes as it flies by. 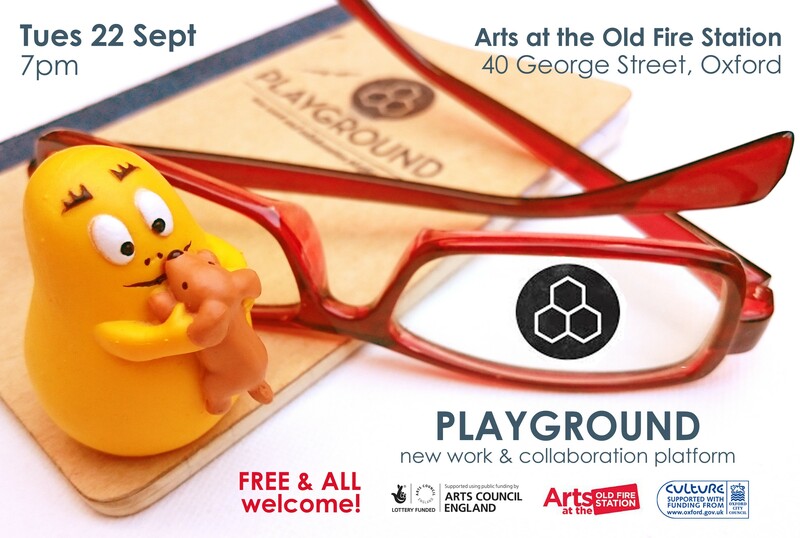 After a brilliant celebration of all things art and all things Playground with our 3-day Playground On Fire festival last June, we’re now back to our regular Playground sessions. TUESDAY 22 SEPTEMBER (Yes, the day after tomorrow!) at the LOFT, Old Fire Station. You think you understand where “public” starts and “private” ends? You thought time and space were actual things you can measure? Maybe you even thought you can tell right from wrong! Gatcha. Ana Barbour, one of the 3 artists selected for the Skyrocket scheme will join us to show the work she developed during Skyrocket. Can we rest in public spaces? Can we lie down in the city? Yes? No? Why? Ana presented “Resting Places” at Playground on Fire in June and she’s keen to get some feedback and thoughts about the piece, the process and, of course, its subject matter. Alex Newton, fresh out of the MA Contemporary Arts at Oxford Brookes, will bring the video work he developed throughout the course. Alex plays with our internal and external notions of time and space and explores their relationship with the help of video, other-wordly imagery and custom made sound worlds. Reverend Productions, an emerging theatre company will come and crash-test some scenes from their current show. The play is called “Townrulers” and takes us to a world where recession, crime and hardship can bring a community to its knees. Can indifference be “ok”? Can murder ever be a “good thing”? It’s never a better time to throw everything you thought you knew into the fire and join us for an evening that will make you doubt it all. And if that sounds a bit too deep, don’t worry: THERE’LL BE A BAR! Previous Post 25-27 JUNE: PLAYGROUND ON FIRE!